WASHINGTON (Reuters) – Several Democratic U.S. senators urged federal regulators on Friday to look into potential data leaks after a tweet by President Donald Trump last week that some market participants viewed as a tip about the big monthly U.S. payrolls report ahead of its public release. 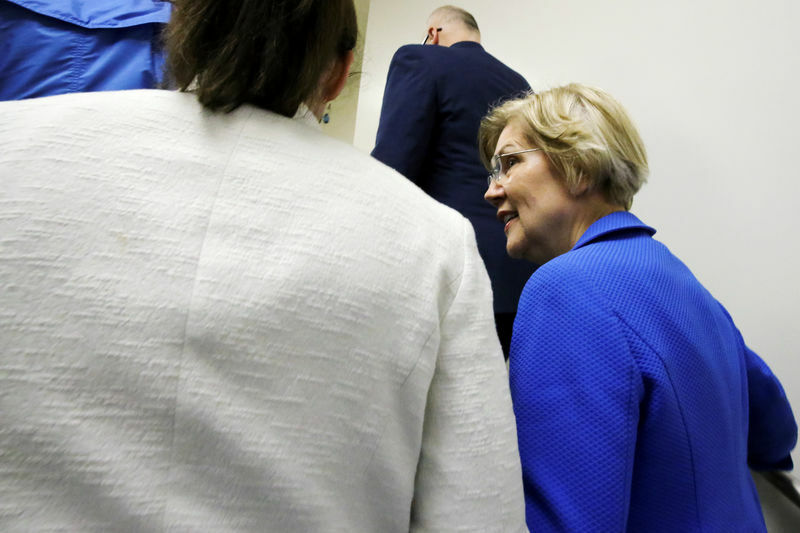 The lawmakers, Elizabeth Warren, Ron Wyden and Michael Bennet expressed their concern about Trump’s comment and called for investigations in letters to the Securities and Exchange Commission and the Commodity Futures Trading Commission. Spokespeople for those agencies declined to comment. Trump’s tweet that he was “looking forward” to the government’s monthly jobs report was seen by some as an indication the numbers would be positive. The president traditionally is briefed on the report the night before, but government officials are barred from discussing the data until after it is released. The report was stronger than expected, with 223,000 U.S. jobs created in May amid sturdy gains in several industries. The unemployment rate dropped to an 18-year low of 3.8 percent. The lawmakers called for the financial market regulators to determine if anyone was able to obtain the sensitive data and trade on it in advance, or if there was any unusual market activity preceding the release of other government economic reports that were provided to the White House in advance. “We must determine the extent of the president’s leaking, its impact on the financial markets and whether Trump’s friends benefited from it,” said Wyden. The group also sent letters to White House Council of Economic Advisers and Bureau of Labor Statistics, asking what other market-sensitive data is shared with the White House in advance, and what steps are taken to prevent leaks.